Friday Favourites – TOO GOOD TO BE TRUE … OR IS IT? 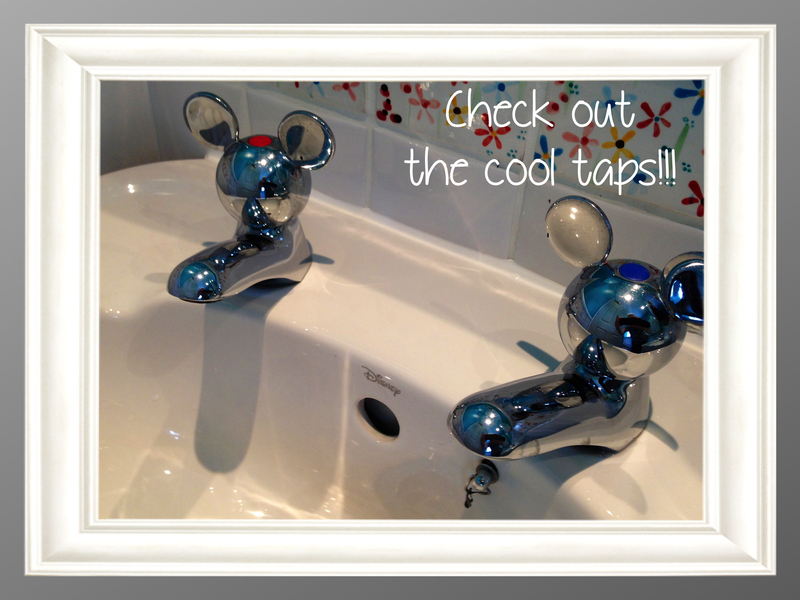 Friday Favourites – TOO GOOD TO BE TRUE … OR IS IT?. Friday Favourites – I WANT TO BE …. A FACE PAINTER! 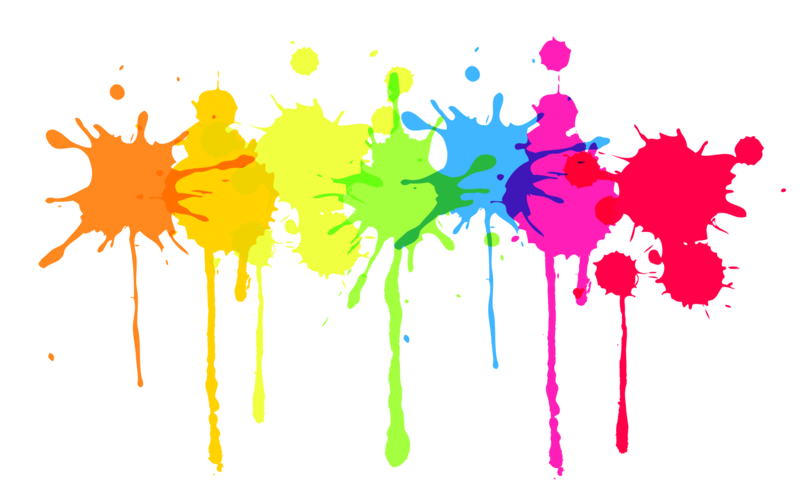 I am receiving an increasing number of requests to provide training, from those just wanting a few basic skills to paint their own children or to help support PTA events at their schools to others who want to start pursuing a professional career in our crazy colourful business. I do occasionally offer beginners workshops but right now with a house move on the cards and setting up a second business this year; I’m afraid I’m stretched to the max! All is not lost however!!! I would like to use this week’s “Friday Favourites” opportunity to share with you some fantastic opportunities for those wishing to take things a little more seriously. For anyone thinking it’s simply a case of grabbing some bedraggled brushes from your children’s arts and crafts box; buying a cheap and cheerful set of paints from your local craft supplier (or God forbid, your nearest “pound store”) and a “how to face paint” book and slapping a few colours on some eager kids’ faces … the please, please, please reconsider. 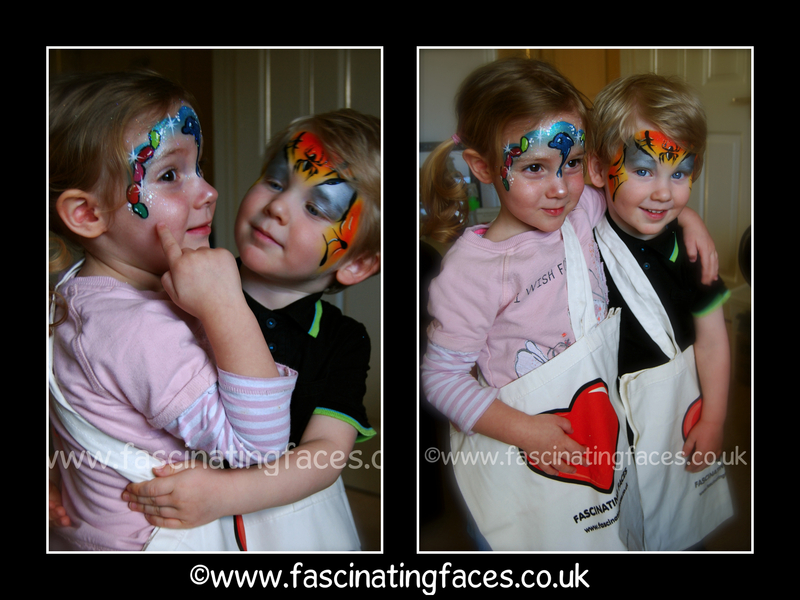 Professional face painters spend many, many hours training, practising and sharing ideas with each other. 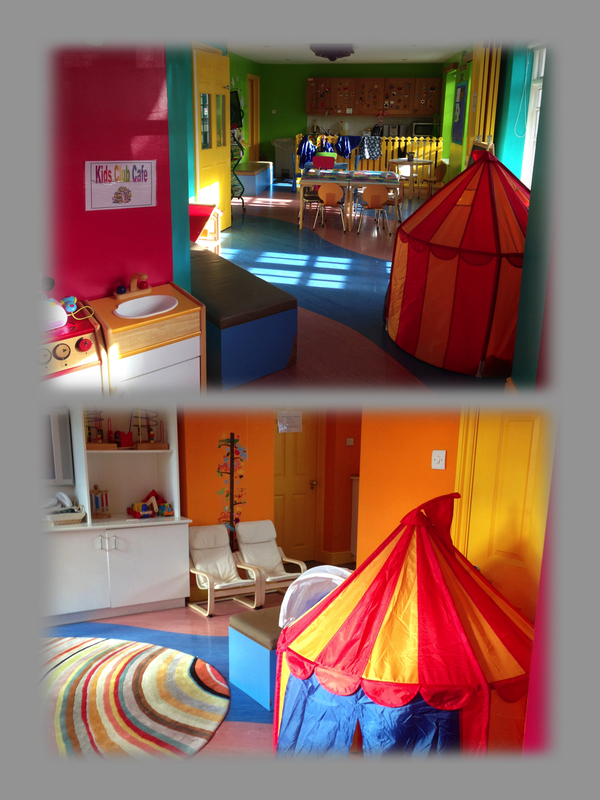 They invest hundreds of pounds into professional equipment, materials and ongoing training and the “mirror moment” of delight in the child (or adult’s) face when the design is complete is our main reward for our dedication. The majority in our profession love nothing more that to share our passion and there are endless opportunities throughout the year (and all over the world) to benefit from the generosity of artists far and wide – sharing their skills, ideas and love for the industry through jams, conventions, conferences, festivals etc. I’ll have to leave my tips on those till another week as that’s a whole other blog in itself so, for now, let me focus on some of the inspirational, generous artists out there offering to help you broaden your skills with their training workshops. Set up in 2003 by Bibi Freeman and Caro Childs this was where I personally took my first tentative and very nervous steps into the face painting world! The principal tutors are world champion facepainter Bibi Freeman and Christine Mavromatis with additional guest tutors as required. They offer a huge range of one day workshops allowing you to build your own ongoing personal development programme at your own pace and budget. Most people starting out find the “Introduction Part 1 and 2” useful, followed by “Starting Professional Facepainting” for some valuable advice in starting out in business and practical tips on painting under pressure! Click here to find out more about the classes on offer. If you love painting at festivals; hen nights; night clubs … in fact anything aimed at teenagers and older then Nams is your girl! 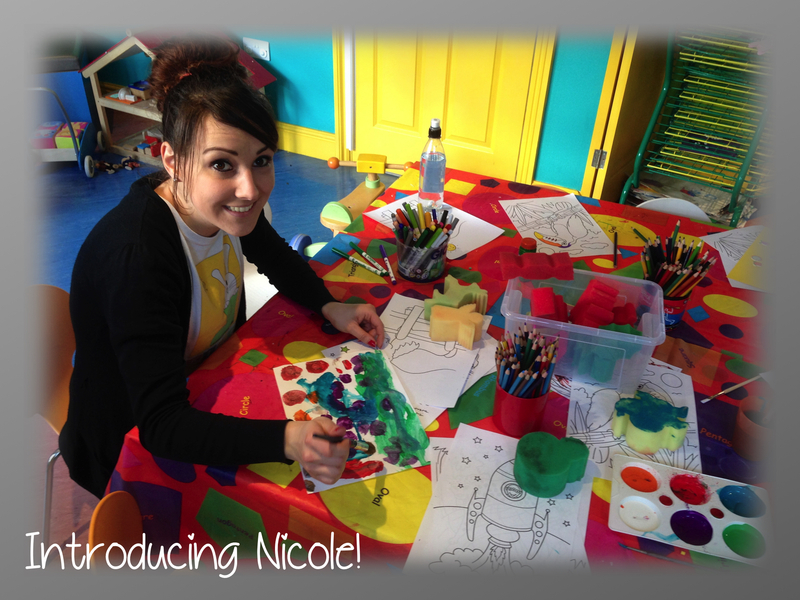 Naomi has a wealth of experience in this field; she is a hugely talented artist and a great teacher. Naomi Gaye is an artist I constantly admire and have featured in previous blogs. Fortunately for us all, she now tours the country sharing her wonderful talent with a particular focus on adult eye designs. 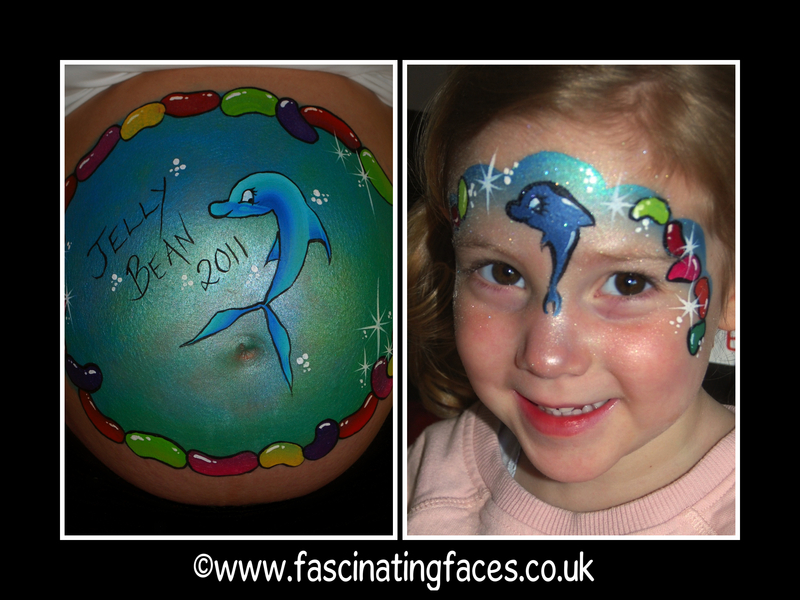 She has a course coming up next month in West Malling, Kent, being hosted by Pampered Delights and Cosmic Face Painting. 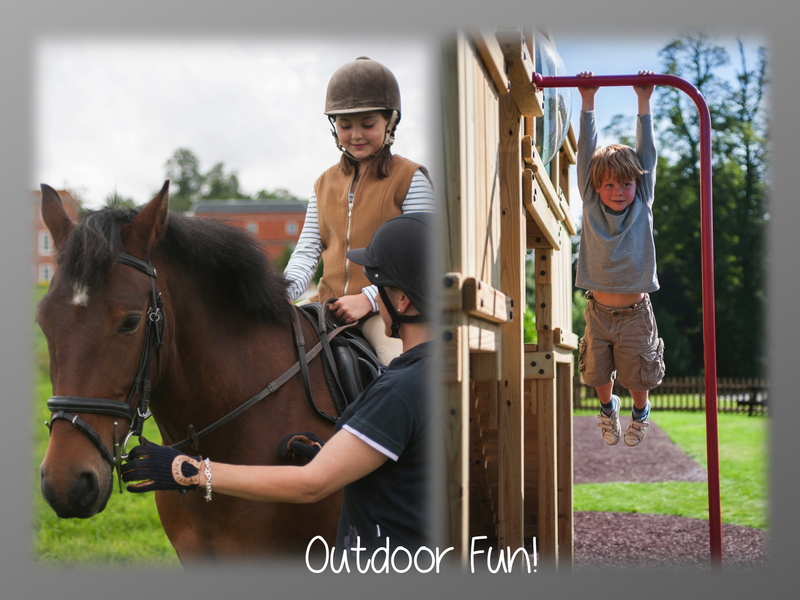 The date is Friday 25th April from 10am – 3pm and the cost is £80 per person. 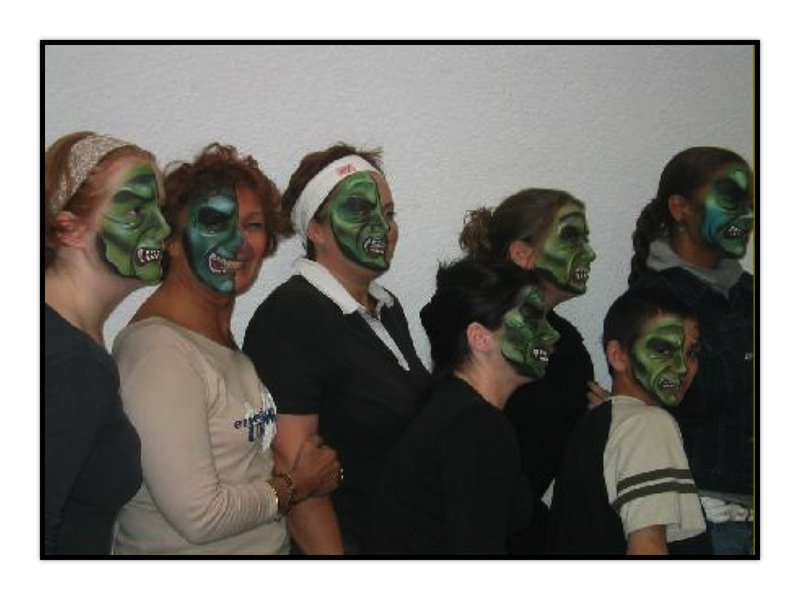 The class is aimed at face painters with experience painting children who would like to branch out and learn some new techniques to use on adults and teenagers. This class will give you lots of techniques and ideas to widen your repertoire and hopefully enable you to widen your market and get more business! Please have a look in the festival galleries on her facebook page for plenty of examples of the kind of eye designs she paints. You must bring your own kit to this class and already have at least some face painting experience, not suitable for complete beginners. If you are interested in hosting a class in your area, please do get in touch with Naomi. The Face Painting Shop is the brainchild of the very lovely Nathalie and is quite literally an Aladdin’s Cave for face and body artists! A long over-due “hands-on” Utopia! The only shop dedicated to our industry in the UK as far as I’m aware. Here’s a sneaky peak! Not only do they offer the most incredible array of products in store and online , you can also book up for classes or even drop in for the odd free event! You might want to like their Facebook page to keep tabs on what’s coming up. Or, if you’re free over the Easter Holidays why not pop along on 11th April for a free demo day for anyone wanting an insight into the wonderful world of airbrushing and a chance to try before you buy. Nathalie promises lots of tea and cakes and children are welcomed! 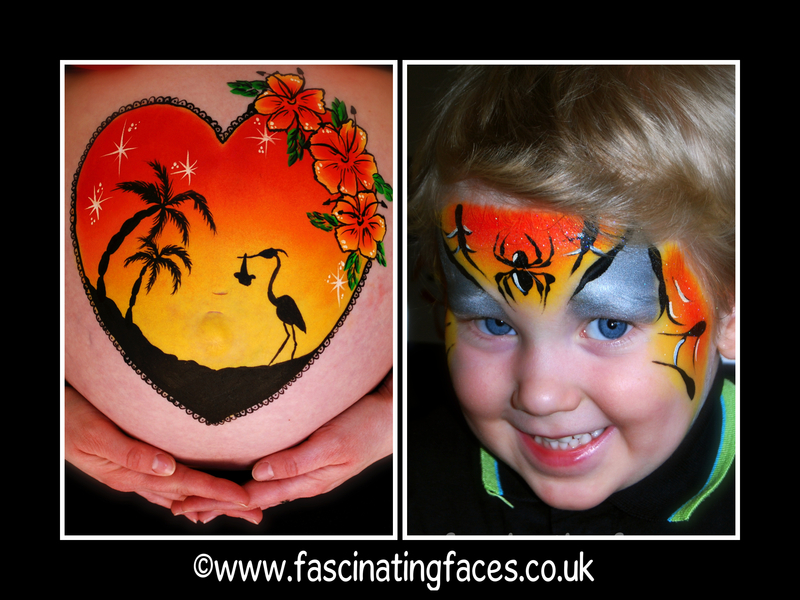 Launched 6 years ago by Juliet Eve, an award winning and highly experienced face painter. 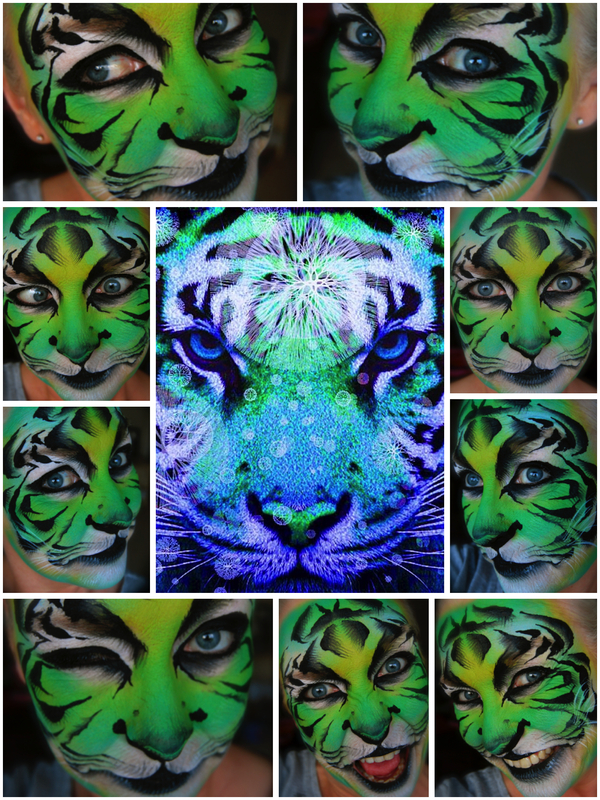 She is always willing to share her knowledge and experience and is a great supporter of FACE, The Face Painting Association. Juliet and invited instructors run weekly scheduled courses from her base in Hemel Hempstead, Herts, UK. 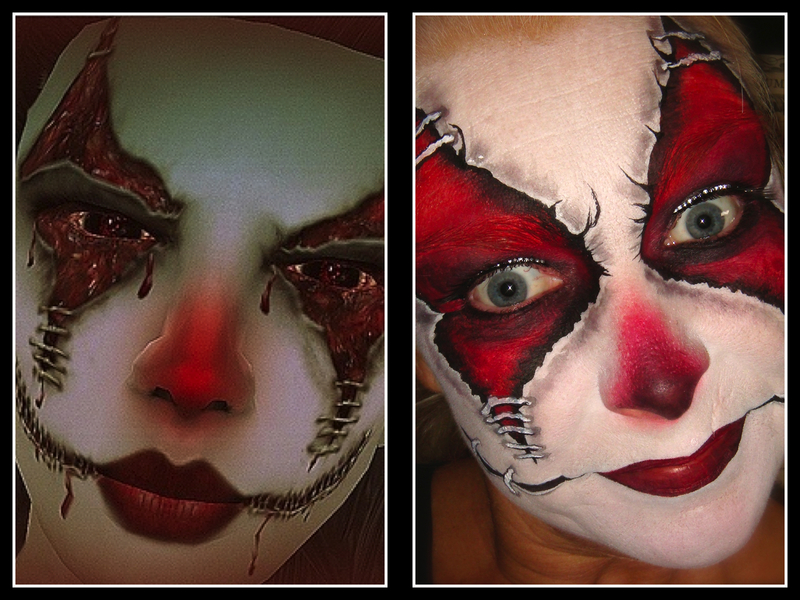 These are for beginners to advanced, also body painting, airbrush, Glitterart and temporary tattoos. She frequently travels around the UK and Europe conducting bespoke and 1-2-1 classes and often hosts visiting instructors from all over the world. Nick Wolfe will be visiting from the States on 5th May 2014. Click on this link to view the schedule of classes for the next few months and you can follow all the latest news by visiting her blog here. 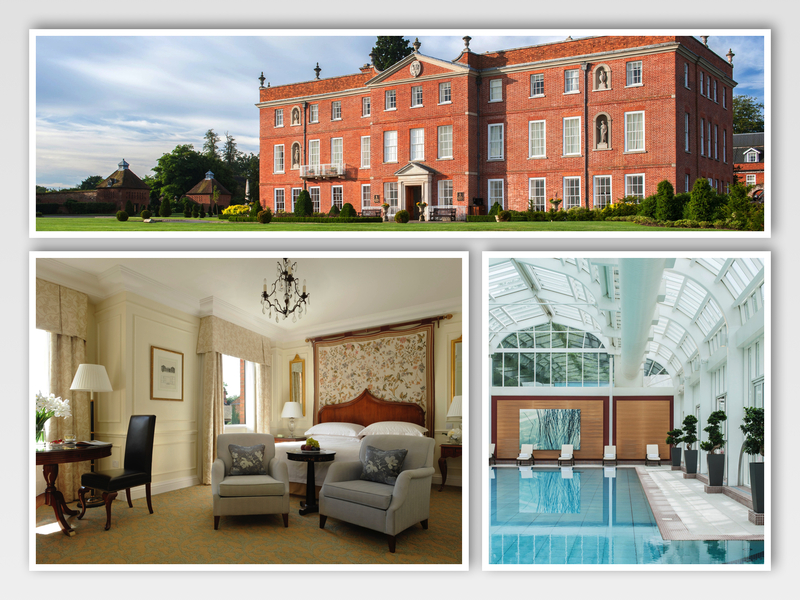 Based in Kent, Liz Bylett and her team offer a whole host of opportunities for development. Liz tells us more … “The introduction day is full on with so much info…. “Improvers” is a great next stepping stone for extending skills new tips and techniques. Then from there is a specialist one stroke rainbow cakes day- which can be taken as a one off with no prior knowledge but works best with prior skills! 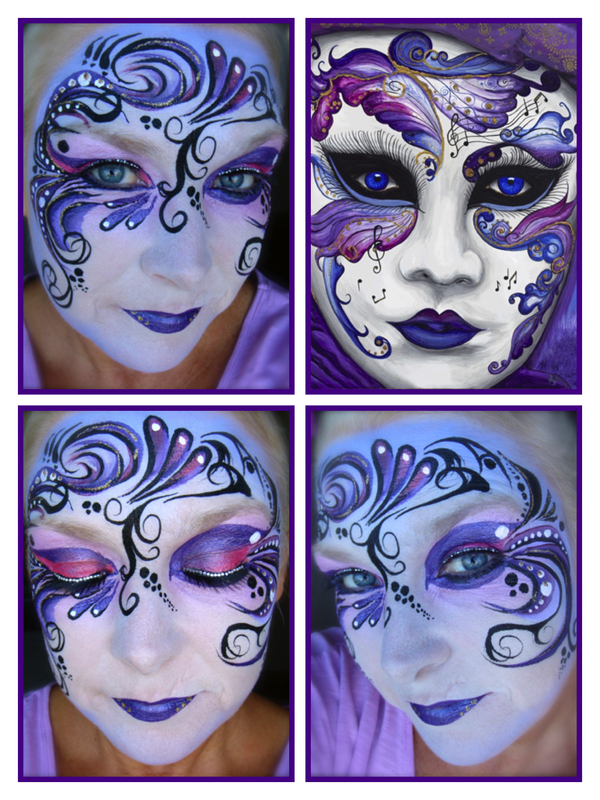 Then we have the amazing 5 day Master class route where you learn all of the skills for face and body art in 5 days! Plus you get a kit included. 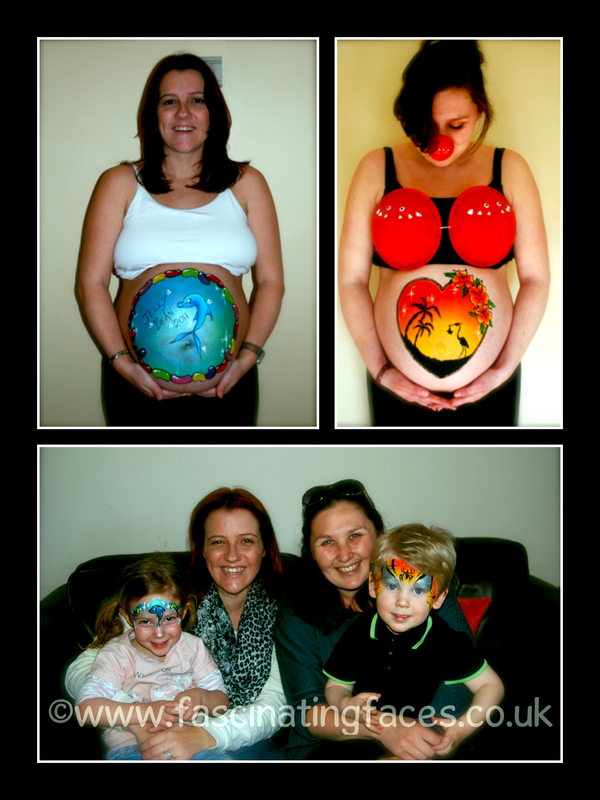 And images on the last body paint day too! 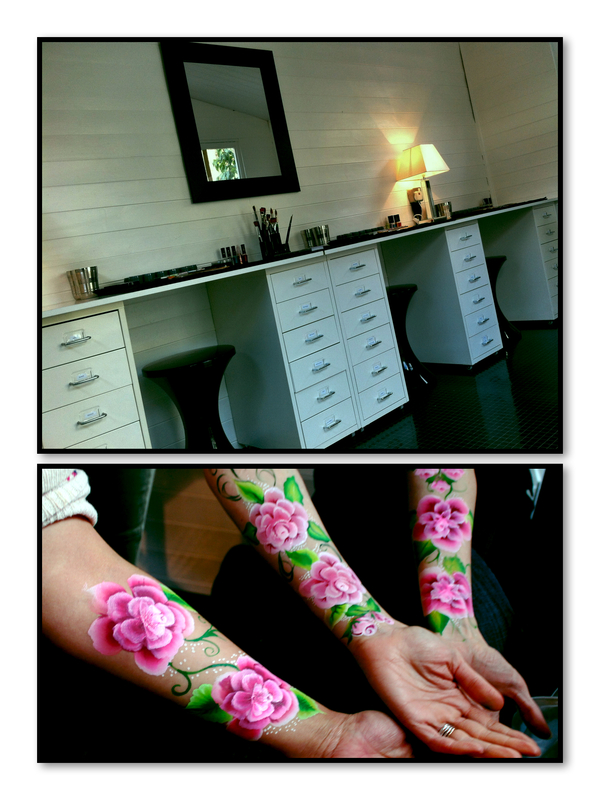 Or you can take the body paint as separate 2 day course in itself. Then we also have henna and glitter tattoos and balloons days to add on to your party businesses. Full details of all the courses run by Follies can be found by clicking here. Another star of our painty world, Brierley invites you to her wonderful garden studio to partake in a variety of colourful, individual classes. Her Spring/Summer schedule includes a range of glorious subjects and her classes are limited to a maximum of 4 attendees. All classes are held in East London and are priced at £90 per person per day and run from 11am – 4pm. Aimed at painters new to, or struggling with one stroke painting. Learn the essential strokes necessary for petals, leaves and more abstract floral shapes. We will practice the strokes on our arms, build them up into individual flowers and then assemble larger pieces on each other’s arms, chests and faces. We will focus on roses, pansies, fuscias , daffodils and a range of leaves including ivy, holly and autumn leaves, depending upon time. Useful for children’s and adults’ faces and body designs. A whole day devoted to roses?! Having taught one stroke florals, I have found that painters can easily spend a whole day concentrating on roses, so if it is roses you are determined to master in lots of forms, this class is for you! We will learn one stroke roses, tattoo roses and more realistic, detailed roses, buds and foliage. Aimed at painters who have a fairly broad experience in various techniques at beginner to intermediate level, but who maybe avoid painting roses. Master the techniques over this day and you’ll be painting roses all the time! Learn the essential strokes to create popular animal characters – dragons, snakes, sea horses, scorpions, penguins, plus graffiti writing, fairies and robots, all using clear, crisp strokes which are transferrable to other designs. We will look at all of these if time permits. We will paint our own and each other’s arms. In this class we will look at the essential ingredients for creating beautiful designs for girls : crowns, swirls, dots, stars, starbursts, crescents, one stroke roses and buds, multi- dipped flowers and leaves, small butterflies, rainbows – layered over stencil work and complemented by gems and glitter. 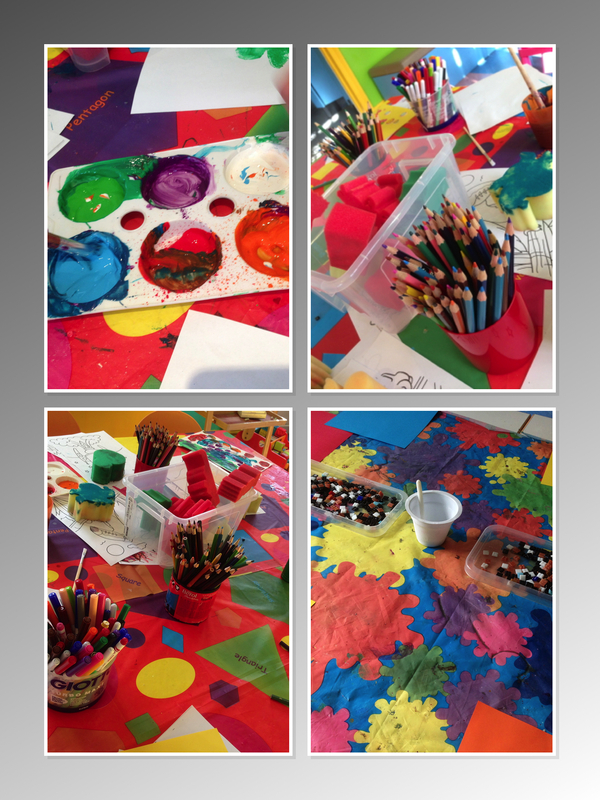 We will look at the golden rules of placement and explore colour combinations, flow and dynamics. Suitable for painters with some experience who are maybe struggling with placement or certain techniques, or are looking for some inspiration in readiness for the summer. Suitable for painters with some general face painting experience but who are maybe nervous about creating adult eye designs professionally, or are stuck for ideas, or looking for guidance with placement or certain techniques. We will use one stroke, double (multi) dipping, line work, stencils, feather and gems and combine face paint with eye shadow and makeup. This class is all about creating flattering designs for women which can (mostly) be created very quickly. 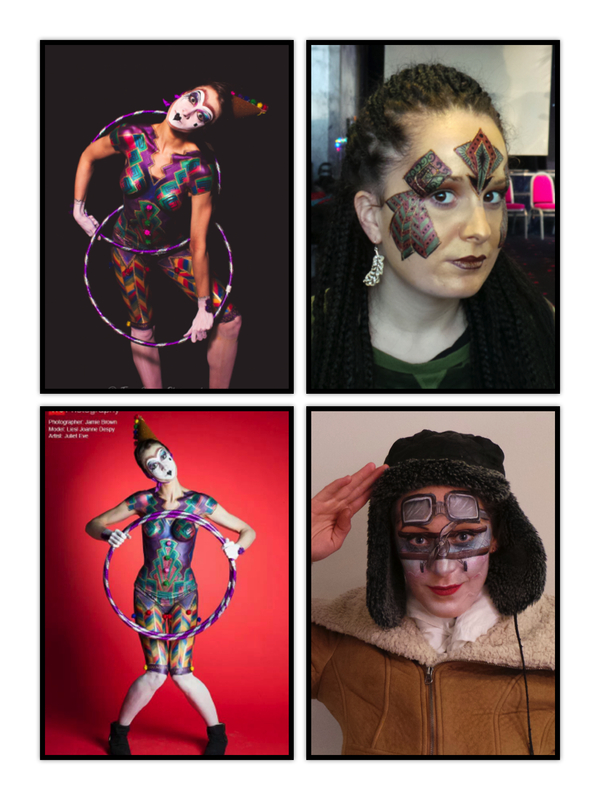 In this fun class we will experiment with a range of techniques, styles and products to create colourful arm designs for older children / teens and after lunch progress to larger eye designs and upper chest or arm designs for adult bookings of for portfolio work. We will build layered designs using stencils gems and small prosthetic pieces. 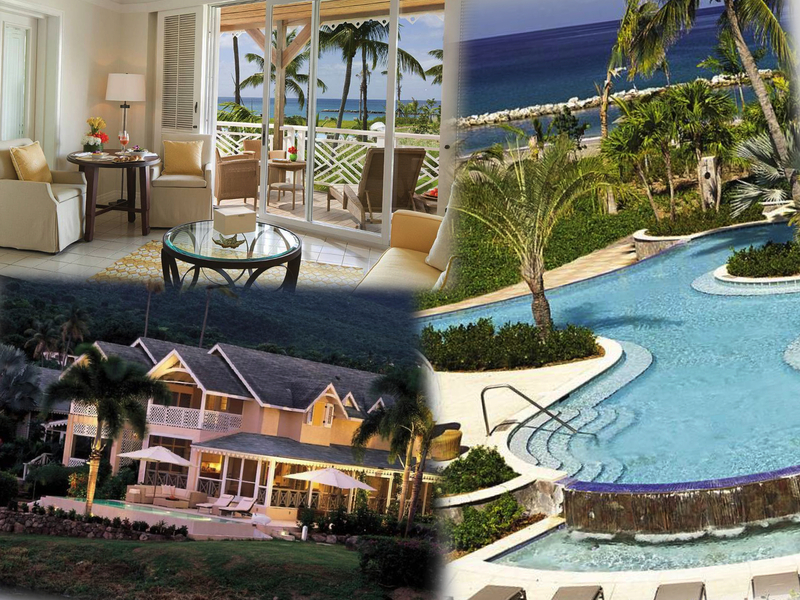 Be prepared to dive in and surprise yourself ! You can see more of Brierley’s work on her Facebook page. This is just an introduction to some of my favourites – there are many other wonderful artists out there willing to share their skills and experience. Please feel free to comment below on any recommendations you’d like to add or reviews on the people I’ve mentioned. I have to admit to occasionally being a little cynical of grandiose declarations on websites and marketing material claiming to be “the best in town”; “can’t be beaten on price”; “market leading provider”; “match any price” etc etc. 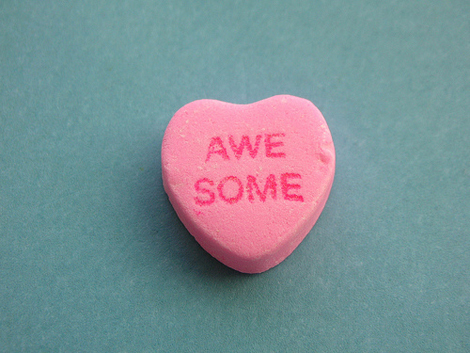 What I look for when engaging a supplier of any variety are personal references, referrals and testimonials. In turn, this is also hugely important to me when promoting my own company. I take tremendous pride in the service we offer; exceeding our customers’ expectations is our aim and it is so rewarding to receive wonderful feedback. This week I wanted to share with you some of our most heart-warming comments and what I believe was behind the generous and kind words. “Everyone had a wonderful time, and I must say your contribution to the day was a highlight for most of the children. They all said it was really good because they could choose what they wanted to have done themselves! This is one of the reasons we choose not to use photo boards when we work; we encourage children to use their imaginations and tell us how they want to be painted and we love the challenge and variety this gives us with our art. 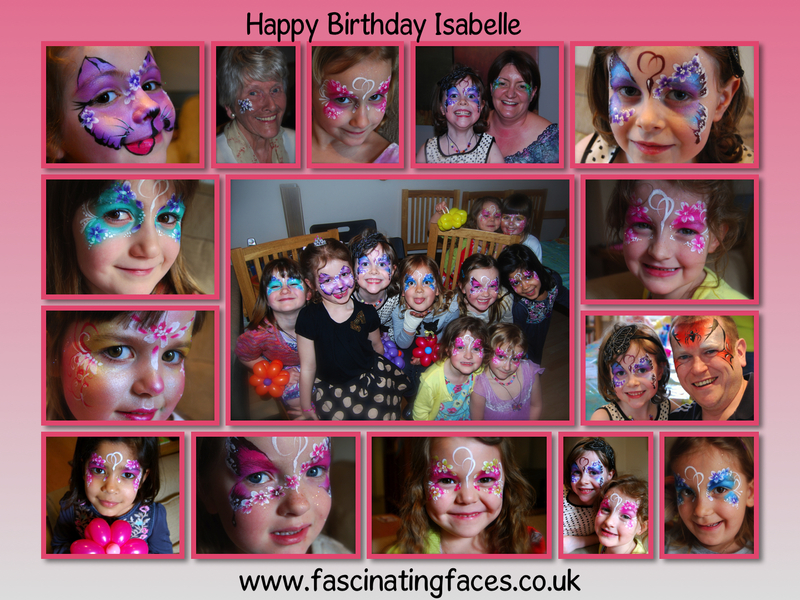 Whenever possible I try to take photos of all the children I paint at parties and then put together a montage for the birthday child as a memento of their special day! It’s a lovely way of capturing the freshly painted artwork for the parents before smudges, chocolate and sometimes a few tears wipe it away! The children LOVE it when the adults muck in with the party shenanigans too. Whenever time permits, we will always encourage and entice the parents to get involved too even if it’s just a sprinkling of glitter! “Thank you so much for all your hard work on Friday. 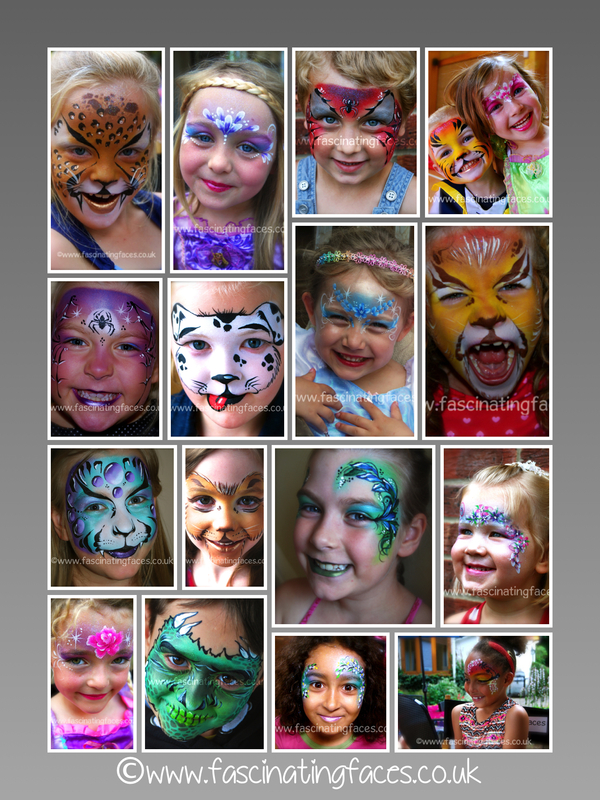 Your face painting was truly amazing and I would not hesitate to recommend you or ask you to come and work at another of our functions. I had no idea we were going to be quite that busy. By the end of it we had had the busiest day since we opened 18 months ago – beating even Christmas eve! This was some lovely feedback following a booking at the fabulous Richard Onslow pub in the beautiful village of Cranleigh. With a background in corporate marketing and event management we pride ourselves in helping companies promote their events wherever possible and hope we manage to increase their exposure and footfall. 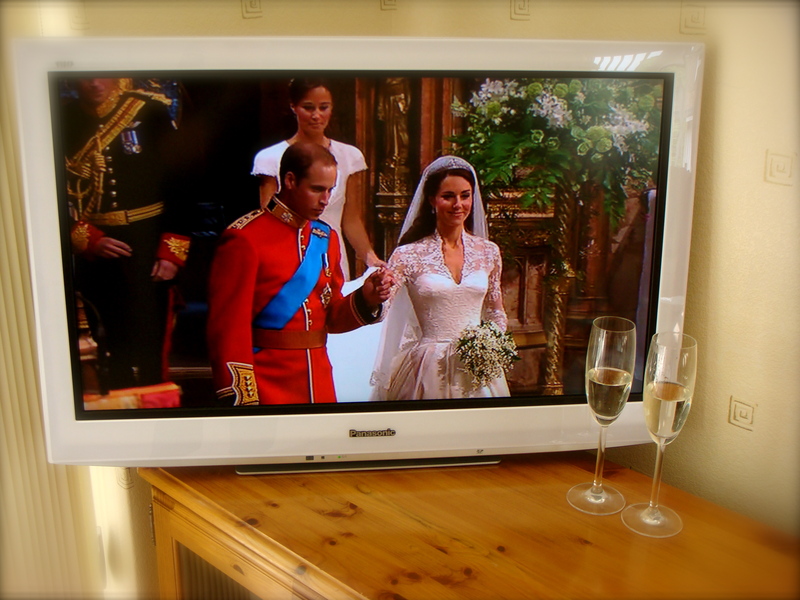 On this occasion, we were booked for a special Royal Wedding celebration – the sun shone down; the pub was heaving and my queue was endless! FANTASTIC! 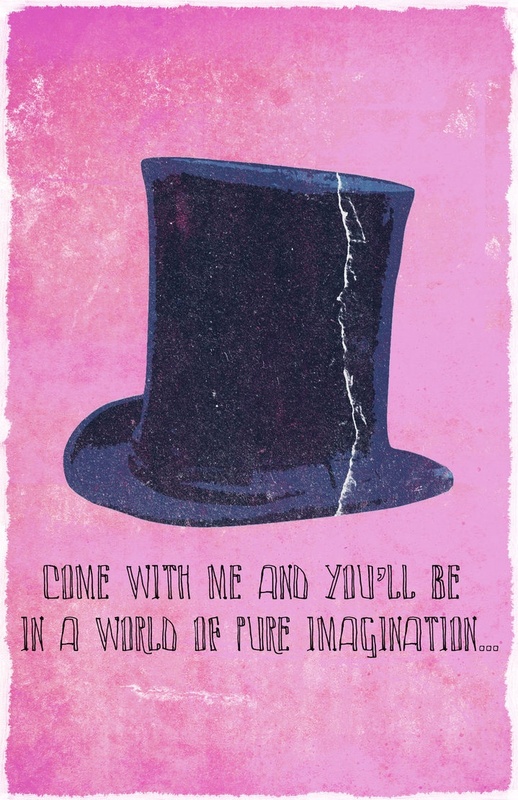 “You are a terrific artist and everyone was asking where I had found you. Thank you Claire for your patience and understanding with the guests and when I heard you had not worked with special needs before, I found this absolutely amazing and I cannot thank you enough. I know family and friends loved having the painting done as well. This particular party will always be in my heart. It was a special lady’s 30th birthday celebrations and was my first booking working with special needs children and adults. Most of my beautiful models that day were unable to talk but the wonderment in their eyes when they looked in the mirror melted my heart. I am so grateful to Val and Ron for inviting me to be party of Claire-Marie’s special celebration. Thank you Bella for warming my soul and melting my heart with that comment. Please remember to take the time to say thank you to people and companies who have delighted you with their service. So many people are swift to complain at the slightest error but slow to show their appreciation. It means the world to any customer-facing business and is worth more than any bottom line figure any day. You can read more of our treasured testimonials on our website here.